No matter how nice you are to people, there would certainly be some persons who would never like you no matter how hard you try to. That's life for you, you can't change that. 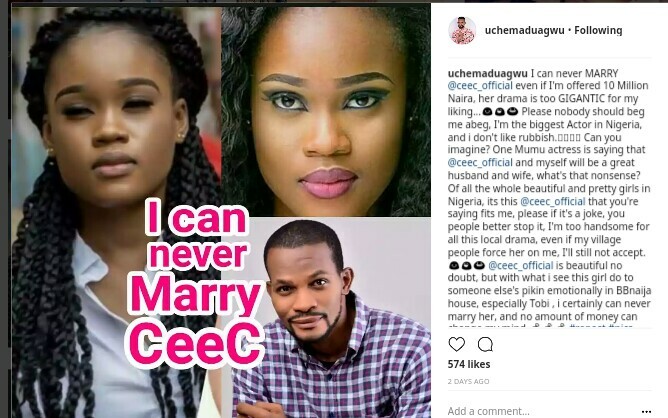 One of such persons that has shown displeasure over one of the most talked about housemate, CeeC in the ongoing Big brother Naija reality show is our very own controversial drama king, Uche Maduagwu. Uche Maduagwu is a Nigerian actor, creative MC and the founder of KomKom foundation. Komkom foundation aims at changing the lives of less privileged ones around the society. 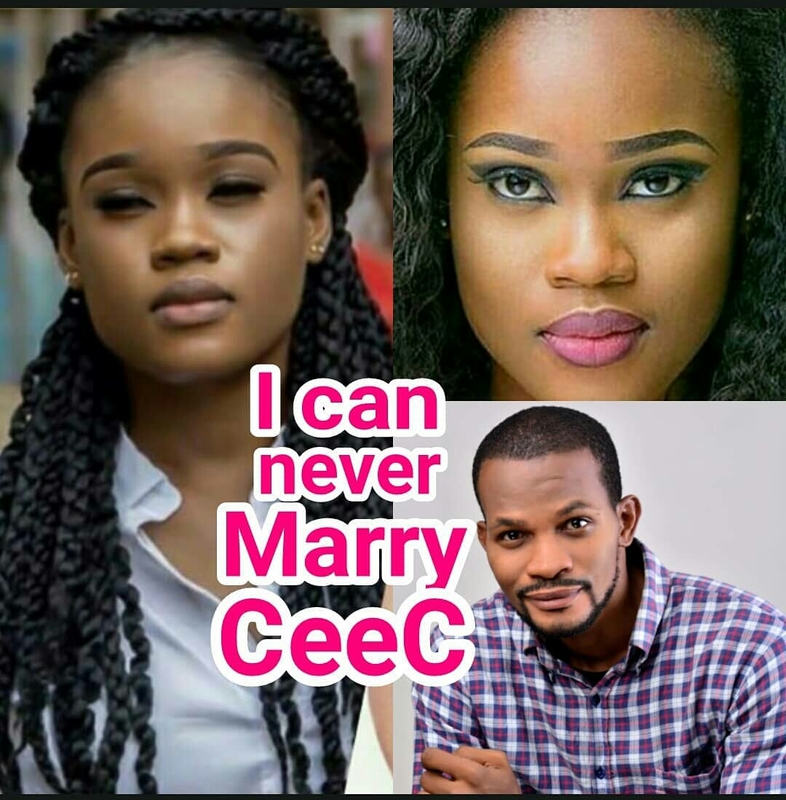 In a post he shared on his Instagram page, the actor airs his view and even went a step further to say he can't marry CeeC even if he's offered 10 million naira. Isn't he saying too much? Well see what he posted below. I can never MARRY @ceec_official even if I'm offered 10 Million Naira, her drama is too GIGANTIC for my liking...😃😄😀 Please nobody should beg me abeg, I'm the biggest Actor in Nigeria, and i don't like rubbish.👊🏽👊🏽 Can you imagine?